“There is nothing here. No people, no business. We open the shop just to pass the time." 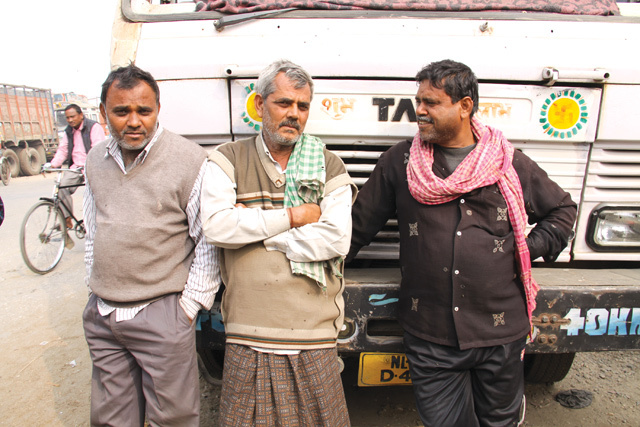 Indian truck driver S M Misra has been stuck on the Nepal side of the border for five months now. S M Misra is an Indian container truck driver who left the port city of Kolkata in early August loaded with Buddhist books. He unloaded his cargo, but then street protests broke out and the border was blockaded. Misra, 56, has been stuck on the Nepal side of the border for five months now. We ask him how he feels. Misra snaps back with a question of his own: “When will all this end?” The father of three from Bihar says he has lost four month’s salary and missed all the big festivals back home. Birganj, Nepal’s biggest and busiest border town, is in deep fatigue after continuous street protests and border obstruction since August. Locals count out the number of days: “125th day of protests and 85th day of the border closure today,” says one. However, in the past week, the 4km stretch of road from the town’s clock tower to the Raxaul border point is slowly getting back to normal. Schools, shops, banks, pharmacies along the main street that had been closed for months are warily opening their shutters again. Prakash Gosain, 26, switched from driving a Tempo to a rickshaw because of the protests. “It was difficult to get petrol so I started to pedal a rickshaw,” says Gosain, a father of three, who has had a difficult time feeding his family. The major impact of the protests and blockade is felt by people like Misra from India and Gosain from Nepal. But for the politicians it has all been worth it and the only way they could get Kathmandu to address their demands for autonomy and fair representation. “The blockade program is a very effective strategy because major parties were not listening to us,” said Jitendra Sonar, ex-CA member of the Tarai-Madhes Democratic Party (TMDP) from Bara district. One expects everything to be shut and streets deserted, but Birganj is bustling. It is only when bystanders open up that a visitor gets a sense of the accumulated frustration, alienation and insecurity. Policemen at major intersections have guns at the ready, banners and placards with Madhes demands festoon the major landmarks, but amidst it all there are wedding processions with brass bands. Travelling from Birganj to Kathmandu and on the highway to Nepal’s northern border with China a few days later, we sense the same sense of helplessness among the locals at Kodari. While in Birganj the border has been blockaded by India since September, in Kodari it has been blockaded by the April earthquake. “There is nothing here. No people, no business. We open the shop just to pass the time,” says Lhamu Sherpa at a souvenir shop near the Nepal-China friendship bridge. She hasn’t seen customers since the earthquake triggered landslides that blocked the highway and buried towns. Rocks still tumble down from the mountains above from time to time. Kodari in Nepal and Khasa in China were both abandoned after the earthquake, and all trade has stopped. The town is in darkness after sunset, although the Chinese have rigged up the police, customs and immigration offices with electricity. The remaining residents in Kodari rely more on Chinese border guards for food and provisions than support from the Nepal government. Public buses have stopped because there are no passengers, the highway has been badly damaged by landslides although it is still motorable. No one really knows when this important route of Nepal-China trade will open again. 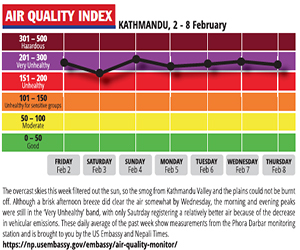 Kathmandu is a well-shielded valley, even grief cant get past Thankot.